Become a Lace wizard and Create intentional holes in your knitting, even if you've only been Knitting for a few months!! Isn't Lace Knitting Sooooo Daunting!??? You love watching Downton Abbey and Anne With An E and you can bet if Lady Mary isn't wearing a lace shawl to bed, then Mrs Hughes is knitting one over a glass of sherry in the evening. And Marilla and Rachel are teaching Anne and Diana to knit them too! If they're knitting them in the 19th and early 20th Century that means it's totally beyond me! That's knitting history, I mean I'm knitting mug cosies... who would have knitted a mug cosy then? I know how to put holes in my knitting.... but maybe they're not there on purpose! I'd rather leave that to the grans and nanas, they know how to do lace knitting, maybe I should wait until i'm a nana too. You can lace knit, Just like your Gran! 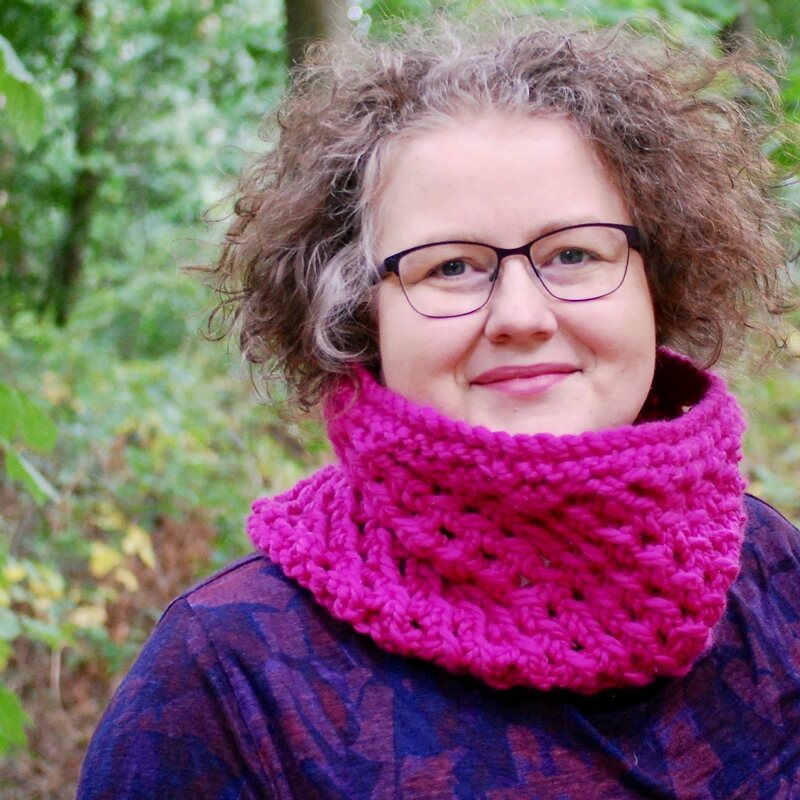 You'll be knitting lace scarves, lace cowls, lace shawls and summery lace jumpers before you know it. Those patterns in the Rowan magazine are your's for the taking! Just think about choosing the cotton yarn for your jumper, the soft merino wool for your lacey scarf. You'll have such fun in the yarn store searching out the perfect accompaniment to your latest lace pattern. 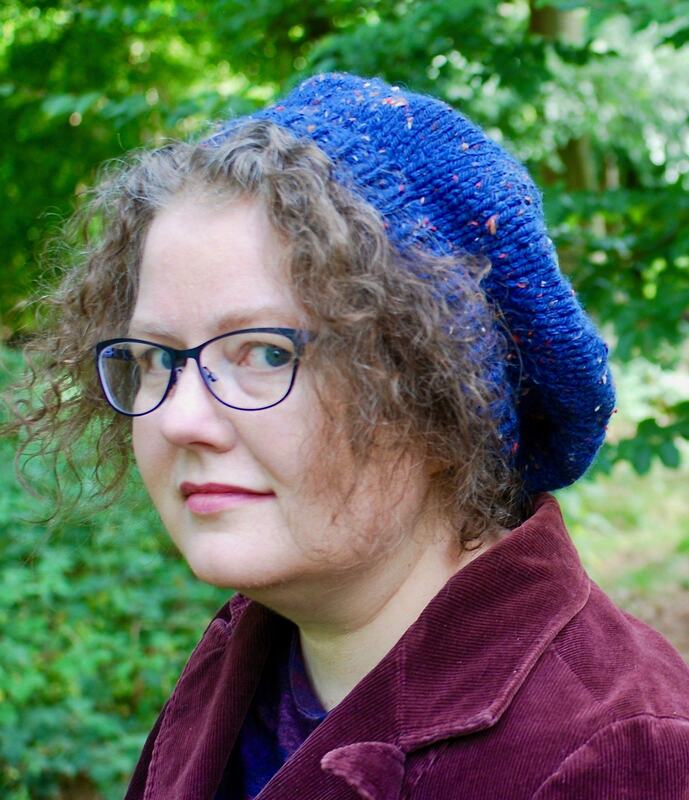 And fabulous super chunky yarn, sitting on your 12mm needles, (growing so quickly)and giving you a chic, captivating result with the holey design. You'll find tutorials for four items, split into short digestible videos. 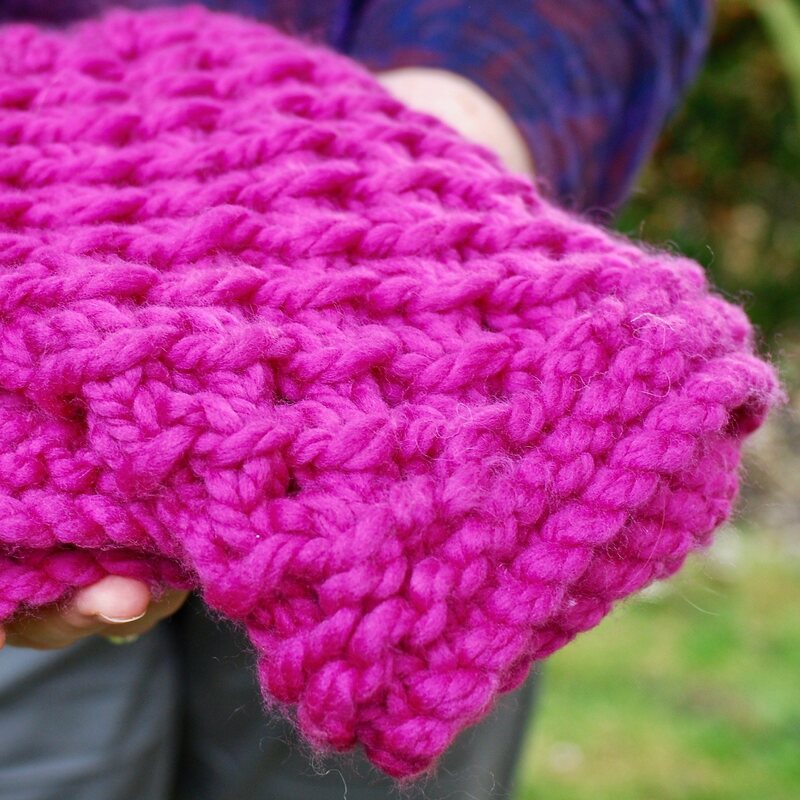 Most are 3-7mins, giving you bite-sized chunks of learning, the longest will be 15mins if I'm knitting along with you to give you more tips as I go through the pattern. 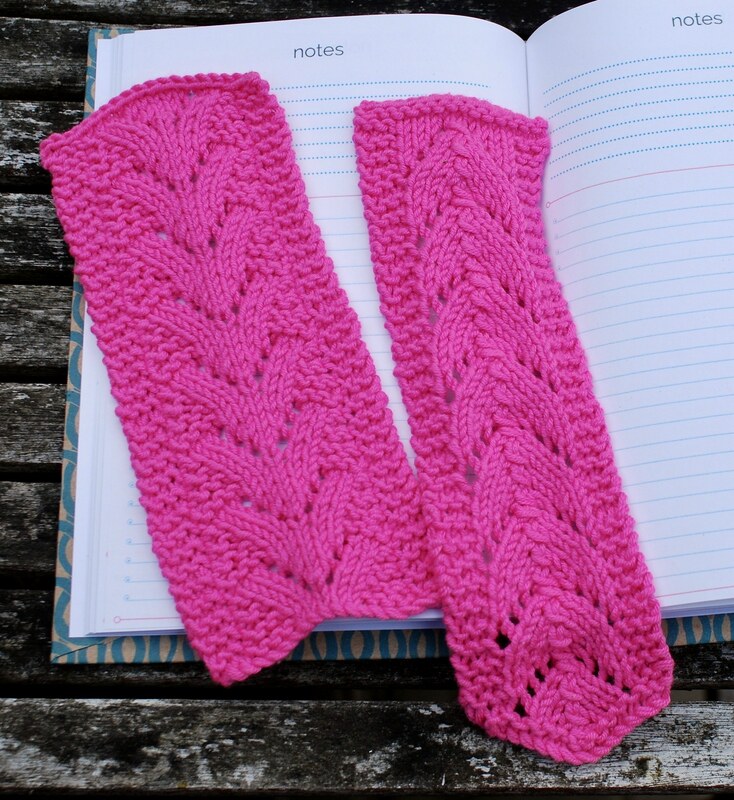 A pair of lace bookmarks is a great way to start. We'll learn about the new jargon you'll need for lace knitting, repeating patterns and reading lace charts. With the simplest design you can turn heads. I'll show you how, with just a few more bits of jargon and a repeated pattern over more stitches, you'll make a bold statement. . Intentional holes can be created in various ways in knitting. 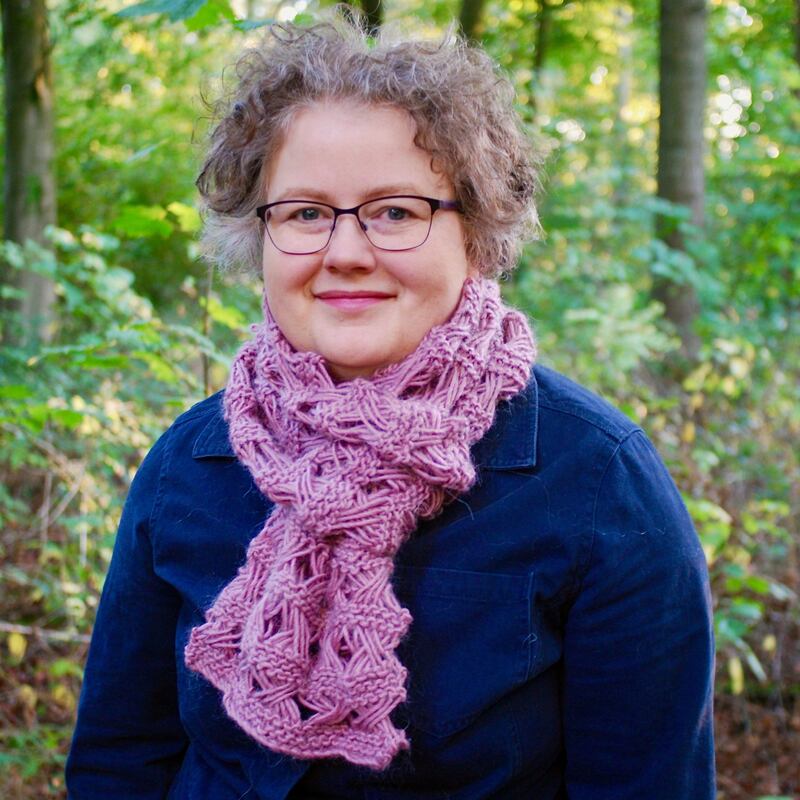 This 'cheat's' lace method is great fun, and lets you explore more confident ways of asking the yarn to do as you choose. I taught myself lace knitting as a teenager and have loved this method of adding interest to knits ever since. (who would - I'm English!) I'll refund every penny... I promise. 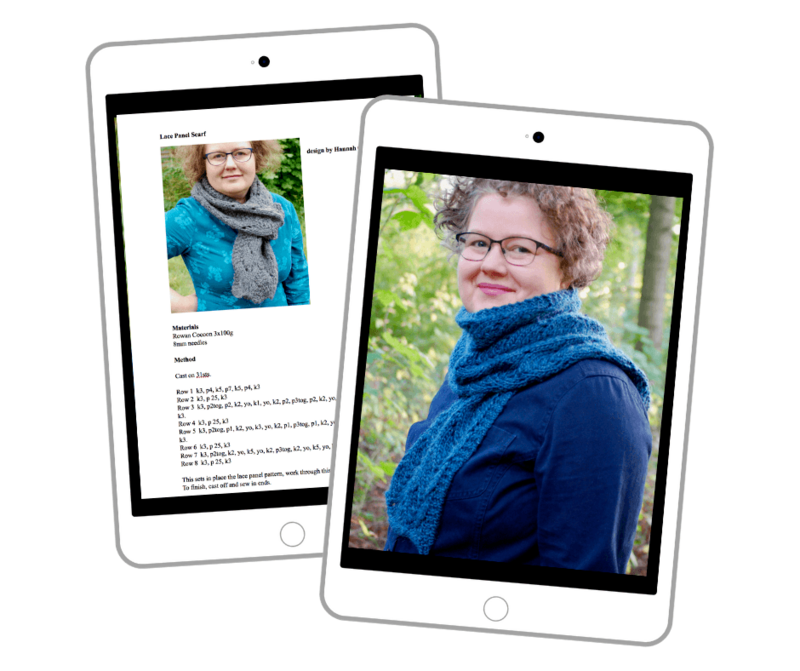 Once you've knitted through the bookmarks you'll have all you need to know to pick up some chunky yarn, some 6.5mm needles and go for broke with two bonus scarf patterns. 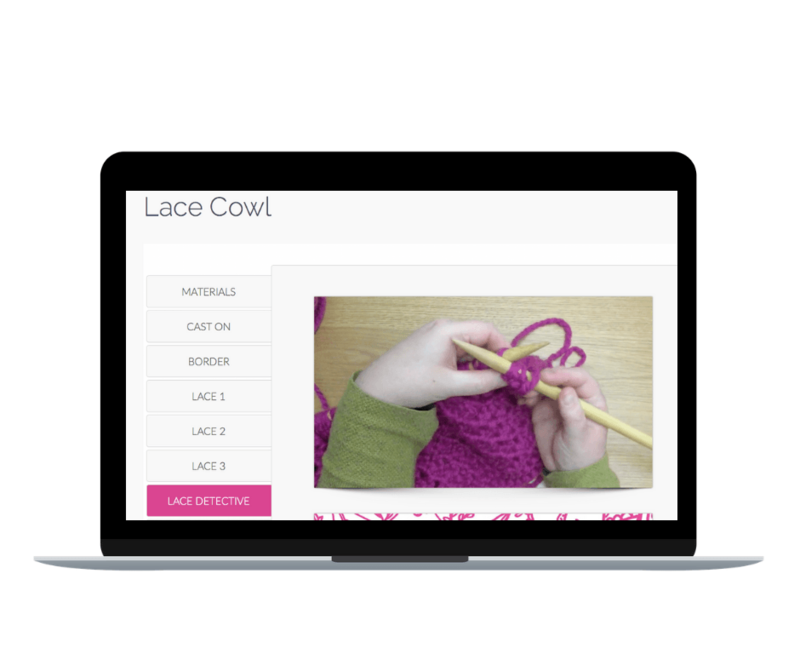 you'll find 'lace detective' videos amongst the tutorials. If you come up against a frog-worthy mistake, you can sort it out quickly and easily for yourself. That's right, all 4 tutorial series, extra patterns and 3 more bonuses. You'll learn enough lace skills to help you follow countless patterns independently. Lace knitting needn't be difficult, in fact it's a technique that once learned is easy to replicate and enjoy while watching your favourite show on Netflix! Who doesn't love the look of Marilla's shawl while watching Anne With An E, or Lady Mary's while watching Downton? This style of knitting has been around for years and is revered and placed on a pedestal. Start with the beginner steps and you'll astound yourself and others by what you create. Small steps in learning are exactly what everyone needs. Knitting small items are the best way to learn new techniques. 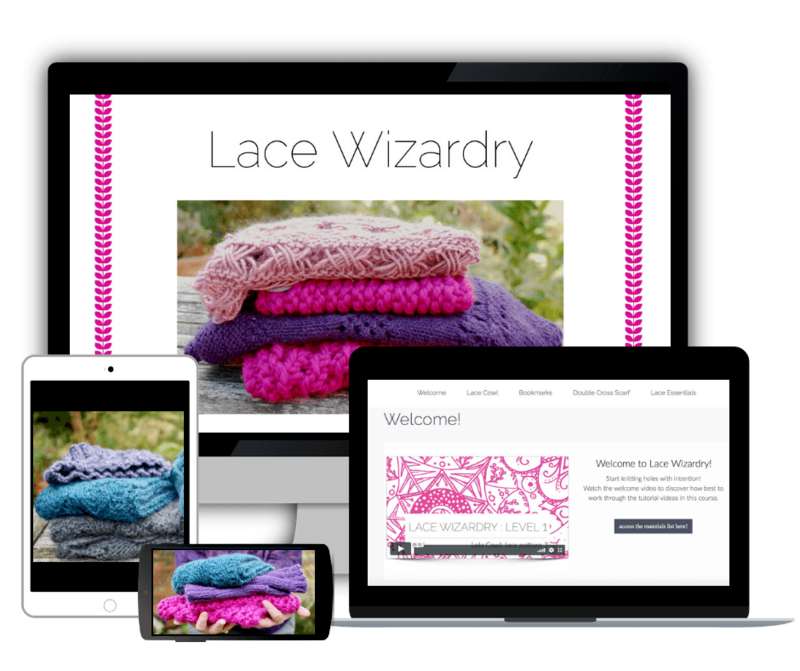 You'll see results quickly and start using the items you knit within a few days and weeks. By beginning with knitting two bookmarks it's easy to see what you're doing and how the skills can be replicated. 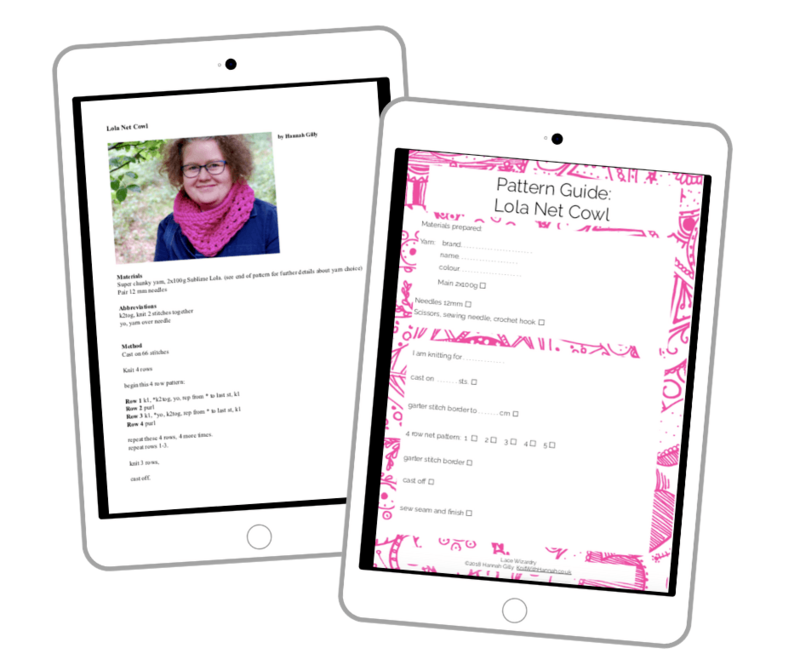 The following patterns allow you to grow in those skills, with just a few pieces of knitting jargon to add to your knitter's toolkit. Once your payment has been confirmed you will receive access details in an email. This may take longer if our timezones are out of whack! 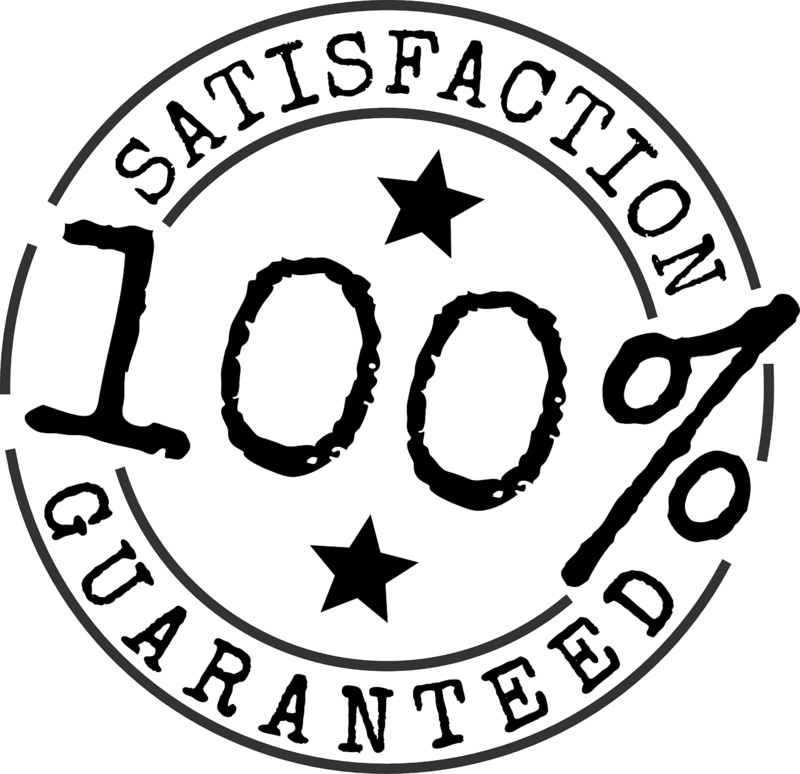 Sometimes the website is happy to go on with the automated access process which means you'll be in almost instantly. If I have to confirm your status, you'll be in within 24hrs on weekdays, 48hrs on weekends. 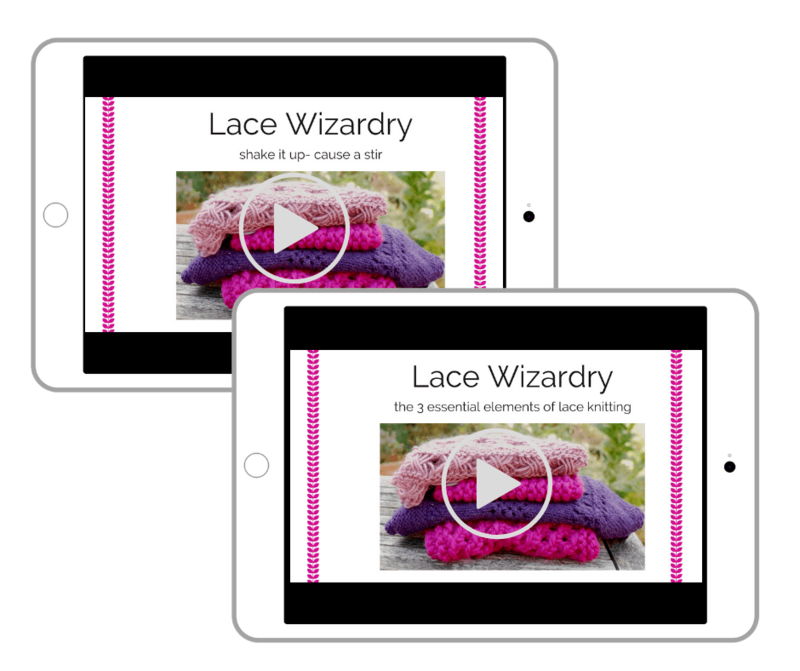 all 3 tutorial series, 2 lessons, , 3 bonuses, including extra lace patterns.